Exactly twenty-six years to the day of Coventry City Football Club’s proudest day, Paul Appleton of David Rubin and Partners has released his administrator’s report where it is revealed he needs more time to investigate. Hours before Appleton’s brief to other media outlets, The Coventry Telegraph has read the report and released some of the details. The report offers no indication that a resolution to the mess the club finds itself in is near, thus offers fans no hope that the club will still be playing at The Ricoh Arena next season, with the Arena being one of the core reasons for the club’s problems. There is also no conclusion on the location of ‘The Golden Share’ which is the club’s ticket to be able to play in the Football League – rested with Coventry City Football Club Limited before it was placed in administration by Sisu-related Cayman Islands hedge fund Arvo Master Fund. The report claims Arvo is now owed more than £10million, which is higher than the £8.5m owed heard in the High Court two months ago. 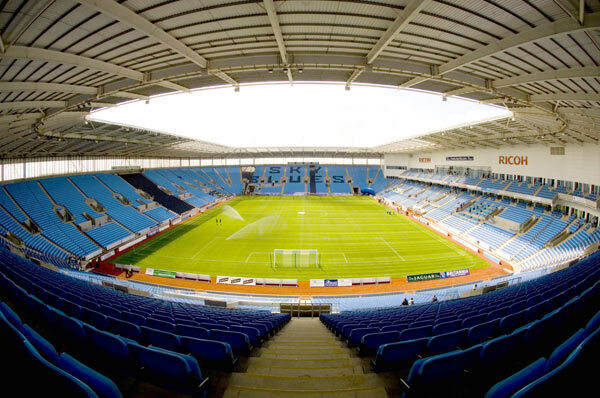 Earlier this morning, it was confirmed that American businessman, Preston Haskell IV had formally submitted a bid to purchase the club and half of The Ricoh Arena, but former club directors Gary Hoffman and Joe Elliott, two of Haskell’s backers have insisted the bid is depends on ‘The Golden Share’ being located in the company placed in administrator, and thus being up for sale. Tweet us your reaction to the administrator’s report at @ccfctv, or write on our Facebook page at facebook.com/ccfctv.